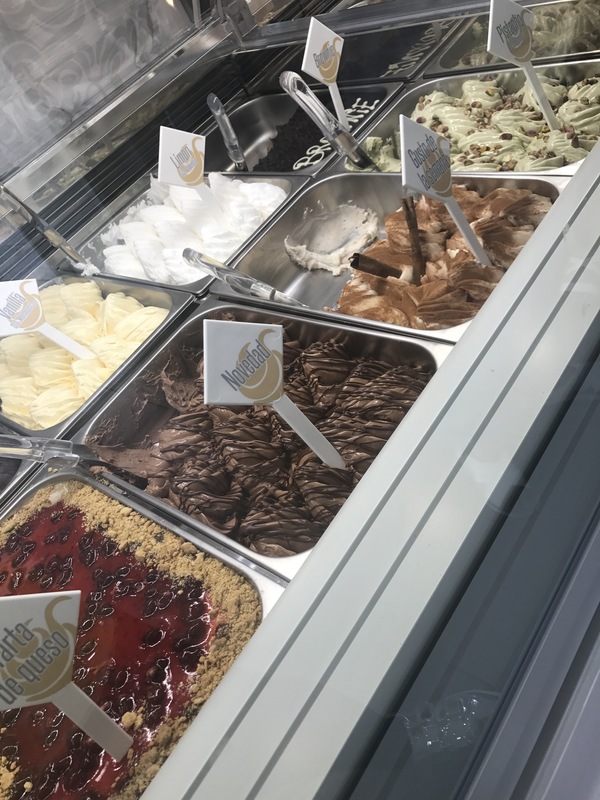 gelato – Jonez, Where We Going? 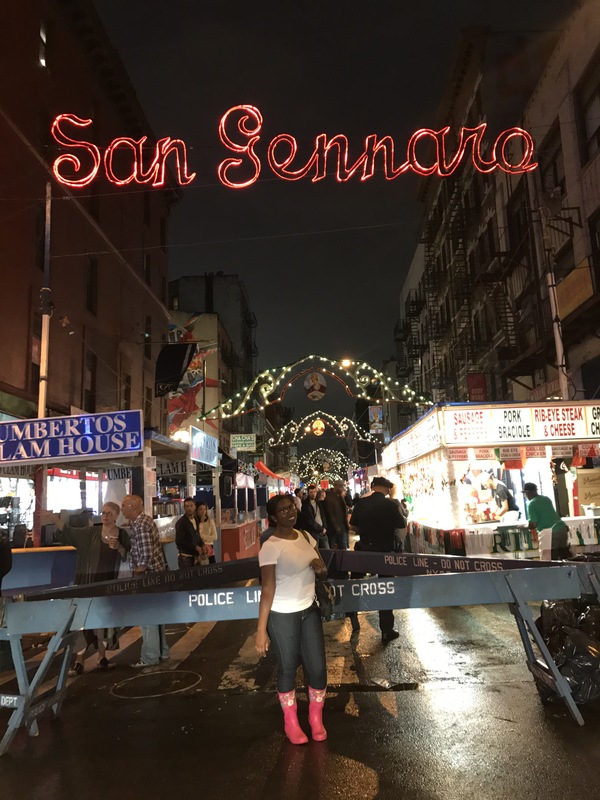 I had the immense pleasure of experiencing The San Gennaro Festival this year again in little Italy, Nyc. It’s a festival that spans over 11 days and celebrates Italians coming to New York from Italy. It’s a festival filled with food, culture and more food. Think all the italian sausage, Cannoli and zeppoles you can get your hands on! Unfortunately and fortunately it was drizzling when Michael (Coworker) and I got there but it helped to semi thin the crowd out. First we started at the beginning of the fest which is Prince st down to (I think) Canal street, just so we could see what was being offered. Once we got to the end, we was going to walk back up but there was a mini parade in which the priest were blessing all of the shops. 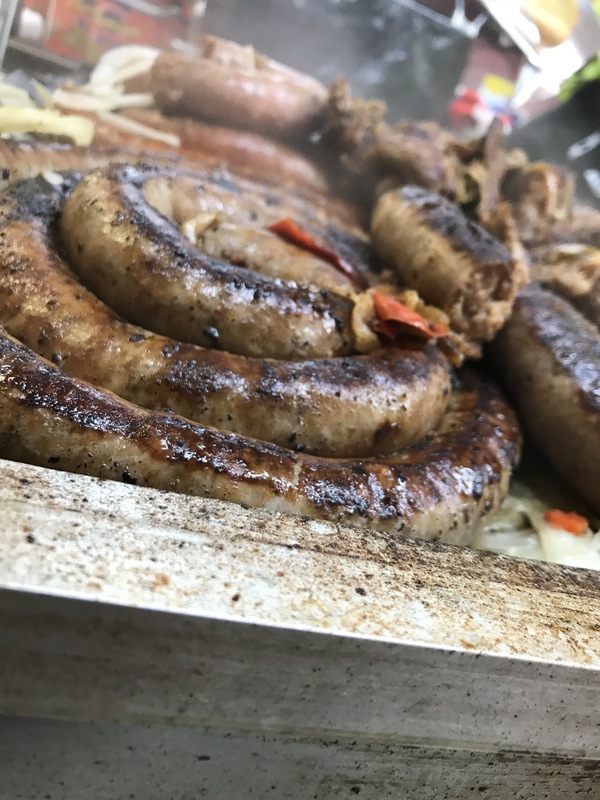 Our first stop was for my Italian sausage with onions, and it didn’t disappoint! 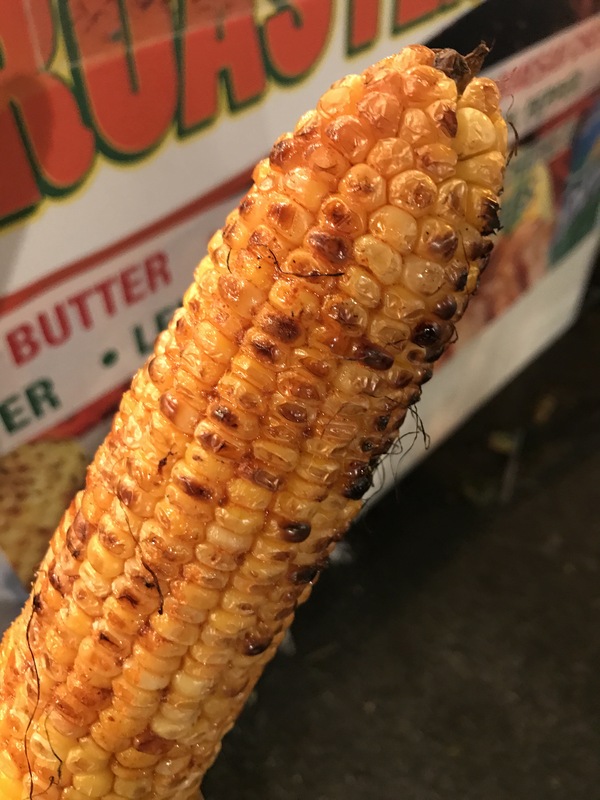 Second stop, Mexican Roasted corn, however I got butter & ‘spices’ and Lord! My mouth was on Fire! But I ate every kernel. 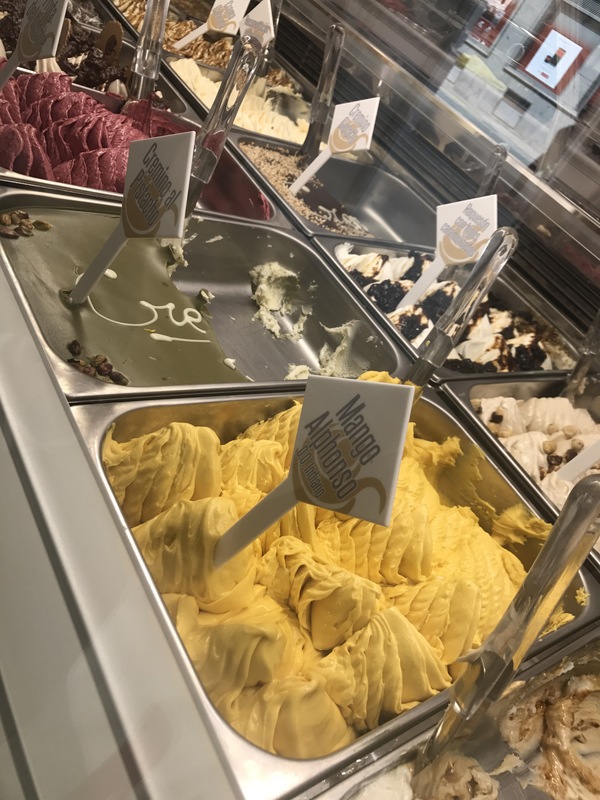 Lastly, Gelato! Since I recently had the freshest (a word?) gelato from Spain I wasn’t impressed AT ALL! The festival is still going on until Sunday September 24th, Make sure you partake! 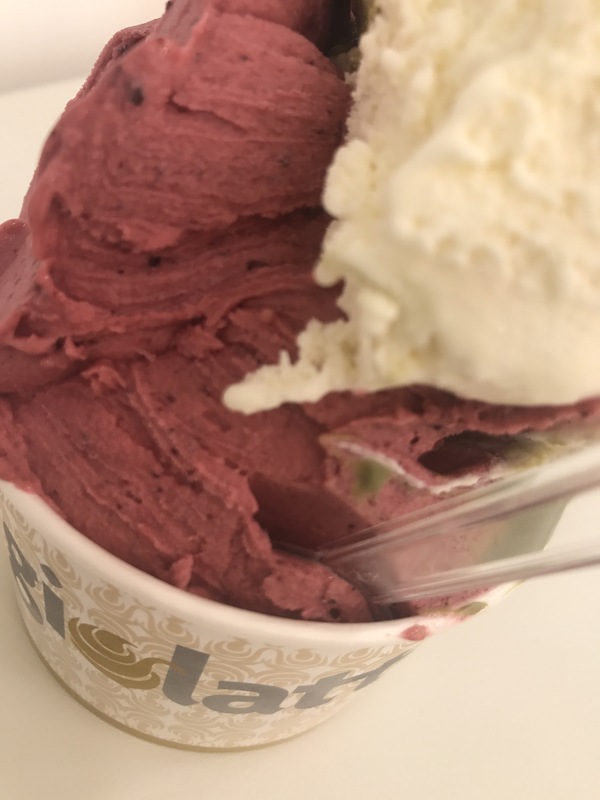 Posted on September 21, 2017 September 22, 2017 Categories Lets Eat, Living LifeTags Cannoli, food, food love, foodie, friendships, gelato, Italian, Italy, little Italy, new york, nyc, single, soho, zeppolesLeave a comment on San Gennaro Feast 17.